Emotional Connection: Why Is It Important And How To Strengthen It? Why is an emotional connection important in a relationship? 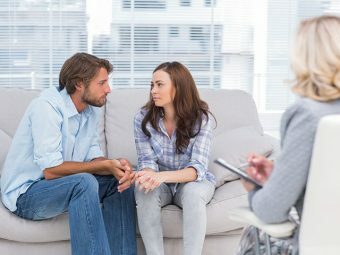 How to emotionally connect with your partner? Emotions are what make us humans. And when two humans decide to live together, it is these emotions that could make or break the union. A relationship between two people who are emotionally connected is sure to stand the test of time. So, what is this emotional connection? How do couples achieve this? In this post, MomJunction tells you about the importance of emotional attachment in couples, its signs and ways to build one with your partner. An emotional connection means to understand and trust your partner in a way, which nobody else can. In other words, an emotional connection is a bond between two people that is beyond physical needs. It is having a deep love to accept each other’s flaws, and believe that your partner is the only one for this lifetime. Be it happiness or misery, you will never leave their side. An emotional connection needs time and effort from both the partners, and once they achieve it, that relationship can survive any storm. The fights between you do not last for more than a day and you break the silence irrespective of who started it. In a room full of people, your spouse gives you “the look” and you immediately understand what they meant. This question is like asking, “Why is air important for a fire to burn”. Emotional connection is like the air that keeps the fire in your relationship burning. When couples are connected emotionally, they share everything from their darkest secrets to deepest fears, and this builds trust and loyalty. Still not convinced? Here are some benefits both of you can reap from an emotionally connected relationship. You respect each other: When you and your partner are connected emotionally, you love them for who they are, and not for how they look. You accept their flaws, and when this happens, their positives make you respect them as a person. Having mutual respect is critical for a long-term relationship because when you respect your partner, you value their dreams, feelings, and fears. Conversations get interesting: Can you hang out with your partner the same way you do with your best friend? Yes! When you are emotionally connected, you can joke and talk about the silliest of things without the fear of being judged. The usual tea-time conversations excite you, and both of you look forward to spending quality time together. Trust and security increase: Why does a child laugh when tossed up in the air? Because he is confident that there is someone to catch him. Similarly, emotionally connected partners know they can rely on each other. They have the confidence that no matter how difficult the situation is, they will always be there for each other. Communication becomes a cake walk: You could have infinite love for your partner, but if you are unable to convey the same, how will they know? Many couples have the affection but fail in communication. This will not be the case if you are emotionally connected to your partner. Both are in sync and can sense each other’s needs and expectations. Moreover, you will also know how to put forward your views without offending your partner. Increases overall well-being: When you are in an intimate relationship with someone, your body releases a hormone known as oxytocin, which results in increased confidence, trust, and love (1). When two people are emotionally connected, they tend to be worry-free, and this boosts the physical as well as emotional health, which in turn, improves your overall well-being. After understanding its importance, you would want to know if you are emotionally connected to your partner. Read on to know the signs. Look at these signs to know if you and your spouse are emotionally connected. Your communication never seizes. When you and your partner are emotionally connected, you will have so many things to talk that time will fall short. The communication will be consistent, be it over the phone or in person. You update your partner about your day and vice versa. If your friends tease you for spending too much with your partner, then be happy, as you are on the right track. You understand your partner’s unique humor. If your partner is funny in a way which only you can understand, then it is a sign of emotional connection. Laughter creates positive vibes and lightens the mood. Studies also back the fact that couples who laugh together stay together (2). You value each other’s opinion. You constantly seek each other’s advice and respect opinions. For example, if you discuss with your wife before inviting friends over for dinner, then it sends out a signal that you value her time. When a person feels valued and appreciated, then they tend to reciprocate. You fight the world for each other. This does not mean you expect your partner to defend you at all times. But, when you hear someone bad-mouthing your partner you won’t accept that. You protect your partner from everything, even from their fears. You have no second thoughts. “Does he love me? 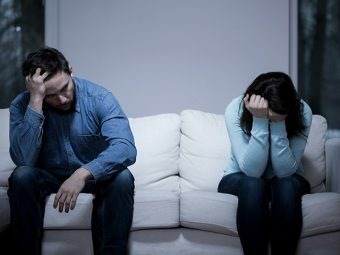 Is this relationship meant to be?” In an emotionally connected relationship, you will not have to guess your partner’s love. You are sure what you and your partner share is genuine. You bring out the best in each other. Do your friends tell that you are looking happier than ever, more confident than before? Then, be glad as you and your partner are emotionally connected, and they bring out the best in you. Your fights are constructive. 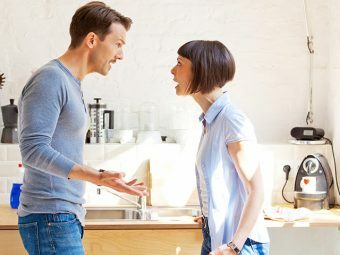 Do emotionally connected partners never fight? No, any relationship will have fights. But when you are emotionally connected, you fight to resolve a conflict, and not destroy each other with words. If you stop talking to each other, you reconcile sooner than later. Do you have most of these traits in your relationship? Then you are emotionally connected with your partner. But if you do not align with most of these signs, then the emotional quotient might be missing. Without the emotional connection, the relationship will wither like a plant without water. When you don’t know your partner’s true identity, you cannot trust them. Without trust, you cannot be open and honest with your partner. One of the partners is not willing to open up. You (or your partner) had a bad experience in a past relationship. You both are too busy in life, and ignore each other’s feelings. You fail to communicate the real feelings. You assume and read too much into each other’s actions. One of the partners is a hermit when it comes to expressing their emotions. In spite of the reasons, it is never too late to start working on an emotional connection. Just that you have to be sincere in your efforts. How to Build an Emotional Connection with your Partner? Emotional connect is not rocket science. You and your partner can achieve it with patience and constant effort. Here are a few ways to connect emotionally with your partner. Make your partner feel wanted. Make your partner realize how lucky you feel to have them in your life. If your spouse is the best thing that has ever happened to you, then let them know about it. If you are not that good with words, then show them with little acts of love such as cooking their favorite meal, dressing up according to their choice, etc. This will make your partner reciprocate and thus, build trust, which, with time turns into an emotional connection. Try to be empathetic. Empathy plays a significant role in developing an emotional connection. When you can see things from your spouse’s perspective, then you will understand rather than assume things. When your spouse cancels off your date plan as something urgent came up at work, you can be thoughtful and know that it has nothing to do with you, and they need to be at work. Talk about your childhood. Another way to increase emotional connectivity is to talk about each other’s childhood and the times before you both met. Tell them how naughty you were, how you aspired to become a pilot, share with them the silly things you did. By doing this, you are inviting your spouse to get a peek into your vulnerabilities. Also, sharing your childhood will help them understand the events that made you what you are now. Tell them about the moment when you fell in love with them. It could be how they took care of you when you fell sick or how they helped you when you’ve hit rock bottom or when you realized that you love the traits in them. Tell them what made you say “yes”. This is a way to boost their confidence in the relationship and thank them. Sharing such intimate moments will create memories that will last for a lifetime. Do things together. Couples need to spend time together to increase emotional connection, but, how do you do that? You cannot just sit in a room and stare at each other for a day! Plan and do activities that interest you both. For example, if you like traveling, then plan a vacation for just the two of you. Mundane things like cleaning and gardening together can also bring you closer to each other. You found the love of your life and spent some fantastic years with them, but lately, your relationship has lost the spark. Also, there have been many silly fights, and you are worried that you are drifting further apart. A few rough patches do not mean your relationship is doomed. It is quite normal for couples to drift apart. The reasons could be many; it could be your new job or responsibilities, which are demanding way too much of your time. So, if you genuinely love your partner, it is never too late to revive the magic in your relationship. Here are a few ways to reignite the fire in your relationship. Bring back those tea-time conversations. Did your “us” time somehow get skipped? Then, talk to your spouse and bring back those tea-time rendezvous. But be careful not to touch sensitive topics that will flare up an argument. Instead, remind them of how you both met, how you used to go on long drives and ask if they wish to do it again. Such conversations help to break the ice and re-establish the lost comfort. Clear the air. If you are unable to spare time for your spouse because of your commitments, then it is your responsibility to explain the situation to your partner. Such an open conversation will save your relationship as your partner knows the reason behind your distant behavior. Ask uncomfortable questions. Attempt this only when the initial ice is broken, and both you and your partner are willing to open up. Ask questions like what caused the rift in your relationship? Why were they hurt? And while your partner is speaking do not interrupt; give them your undivided attention. Never hesitate to say sorry. If you feel that you have done something that has hurt your partner, then be brave to say sorry, and make them feel that this apology has come from your heart. Make sure that you have identified the issues and also promised each other not to repeat them. Give them time. Understand that after you have hit a dead-end in your relationship, healing takes time. Give time to rejuvenate the lost love; during this time try everything that will work to re-establish the emotional connection. 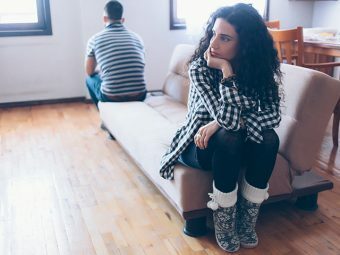 An emotional connection is vital for long-term relationships because as time goes by, the physical attraction might fade. But the link you made with your partner’s soul will continue until death does you apart. How did you build an emotional connection with your partner? Let us know in the comments section below. 1. Inna Schneiderman, Orna Zagoory-Sharon, James F. Leckman, and Ruth Feldman; Oxytocin during the initial stages of romantic attachment: Relations to couples’ interactive reciprocity; NIB. 2. Jeffrey A. Hall; Humor in Long-Term Romantic Relationships: The Association of General Humor Styles and Relationship-Specific Functions with Relationship Satisfaction; Western Journal of Communication, Routledge Taylor & Francis Group. 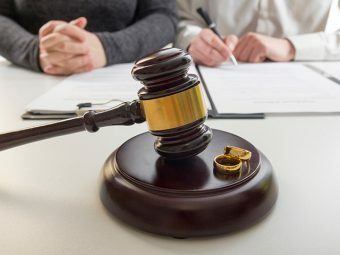 What Are The Grounds For Dissolution Of Marriage?